Anne Marie O’Brien is a partner of Lamson Dugan & Murray and a member of the Firm’s Litigation Department. Her practice involves a multitude of disciplines, in both tort and commercial practice areas, including commercial tort and business litigation, insurance coverage disputes, and contract and lease negotiation for commercial, insurance, railroad and transportation clients. She has experience in personal injury defense, FELA, products liability litigation, grade crossing, insurance coverage and subrogation litigation, transportation defense work, and contract negotiation, including general civil litigation. Ms. O’Brien has lectured and advised on litigation, insurance and subrogation issues to both defense and plaintiff’s bar associations. Ms. O’Brien is the author of the firm’s Midwest Insurance Law Guide. She blogs frequently on coverage issues and emerging case law relating to insurance. Outside of the office, Anne Marie likes to travel, cook, play bridge, read and sew. Represented Plaintiff seeking to bar a third party from objecting to the adoption of a child. Represented the Defendant in a successful challenge to exclude the medical causation opinion of plaintiff’s expert using Daubert in a personal injury action. Secured a defense verdict where a railroad employee alleged deep vein thrombosis was caused by his work. Secured summary judgment for policy holder that coverage existed on a boiler machinery policy for several million dollars. Secured summary judgment for City of Omaha in multi-million dollar contract case against original Kerry Pedestrian bridge design and engineering firm. Secured summary judgment dismissing claim raised by railroad employee that sleep loss caused diabetes. Secured summary judgment dismissing legal malpractice action against lawyer in an estate and will claim. Secured summary judgments in various cases finding that a railroad is not at fault for causing an auto/train crossing accident. Secured order to strike medical experts and summary judgments dismissing cumulative trauma claims by various railroad employees. Secured a defense verdict at trial against an employee who alleged he was injured on a hand brake. Secured a defense verdict at trial against an employee who alleged he was injured in a revolving door. Secured a defense verdict at trial on a statute of limitations case. Secured summary judgment for the defense on a railroad crossing case. Ms. O’Brien received her bachelor’s degree in classical humanities from St. Mary’s University in Winona, Minnesota. She was a recipient of St. Mary’s University Academic Scholarship, and in the St. Mary’s University Honors Program. She received her law degree from Creighton University School of Law. At Creighton University, she was awarded the Roscoe Pound Scholarship and Award for Moot Court achievement and took Second place at the U.S. International Moot Court Competition. Ms. O’Brien has also been admitted pro hac vice in various State and/or Federal Courts in California, Delaware, Idaho, Illinois, Louisiana, Nevada, Oregon and Texas. Ms. O’Brien is a member of the Nebraska and Missouri State Bar Associations, the National Association of Railroad Trial Counsel (NARTC) and the Nebraska Defense Counsel. She currently serves on several NARTC committees. 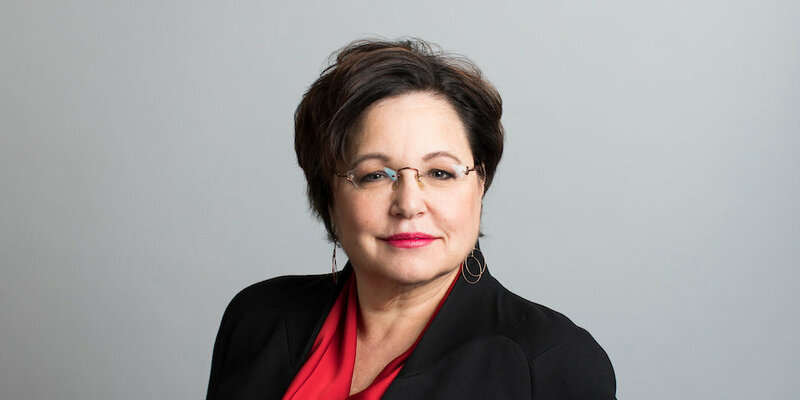 She has served as an executive member of the Omaha Bar Association in several capacities and currently President of the Omaha Bar Association. She is the Immediate Past-President, Catholic Charities Board of Directors, Board Member GWR Sunshine Foundation, Board Member Creighton University School of Law, Werner Institute, and member of the Omaha Law League. Ms. O’Brien received the Archbishop’s Outstanding Volunteer Award in 1997, the Omaha Corporate Achiever in 2003, and the Archbishop’s Award of Excellence in 2005.